Late in the evening on 29 July Ukrainian President Petro Poroshenko phoned his Belarusian counterpart and proposed him to host a meeting of a tripartite contact group on Ukraine. 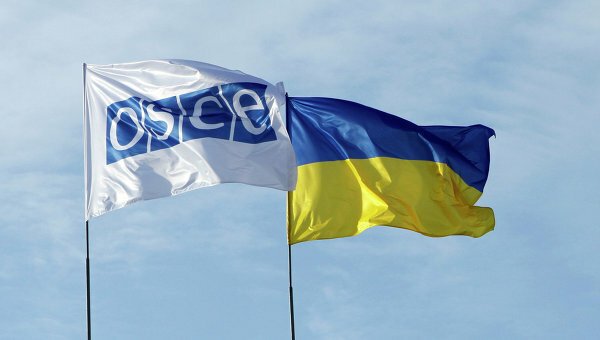 The negotiations' format included OSCE, Russia and Ukraine. Alexander Lukashenka agreed and the talks were scheduled on 31 July. The contact group talks took place in Lukashenka's residence Zaslaūje near Minsk behind the closed doors. Minsk got the opportunity to host these negotiations because of Belarus' neutrality in the Russian-Ukrainian conflict. Lukashenka showed his best manoeuvring skills, navigating between each party because he needs stable trade relations with Ukraine, but he cannot afford being too disloyal to Kremlin. Yet, the possible outcomes and implications of Minsk talks may have been overestimated: the Belarusian role in conflict's resolution remains insufficient to affect a serious change or to improve the authorities' image in the West. The contact group planned to discuss two issues: the release of hostages and securing access for international investigators to the MH17 crash site. For that matter parties decided to invite the representatives of pro-Russian separatists who also agreed to come. The talks brought together Ukraine's ex-president Leonid Kuchma, Russian ambassador to Ukraine Mikhail Zurabov, OSCE special envoy Adelheid Tagliavini and the separatists' delegation, headed most probably by Andrey Purgin, "the vice-premier" of self-proclaimed Donetsk People's Republic. It was no accident that Minsk became the suitable place to host these talks, rather technical, but still important from the humanitarian perspective. With an open clash between the EU and Russia the Ukrainian conflict rapidly developing, and Eastern Ukraine itself being divided into areas controlled either by the Ukrainian military or by separatists, Belarus appeared to be the only neutral place in all of Europe that could guarantee the security of all the participants. Credit here is due to Alexander Lukashenka and his rather effective balancing between Ukraine and Russia throughout the entire conflict. From the very first days of Russia's annexation of Crimea, the Belarusian ruler did his best to preserve good relations with both Kyiv and Moscow. Lukashenka achieved his purpose by making numerous statements that were pleasing both parties. He de facto recognised Crimea as a part of Russia. At the same time, he called for the elimination of the terrorists in Eastern Ukraine, recognised and actively communicated with new Ukrainian interim authorities and even visited Petro Poroshenko's inauguration, but on every possible occasion he swore Russians to be loyal. Interestingly, Belarusian state officials visibly panicked on 30-31 July: they often did not pick up the phone, could not give a precise answer to anything journalists asked about the upcoming talks and always redirected calls to one another - it was hard to find the responsible entity. Kyiv and the separatists agreed to maintain a cease-fire near the MH-17 crash site and to release 20 detainees from each side – not a sensational success, but one could hardly expect more from second rate technical talks. Although geopolitical balancing remains one of Lukashenka's most notable talents, the agreement to host Ukrainian talks reflects his genuine desire to foster a resolution to the conflict. As the war in the East of Ukraine escalates, the Belarusian ruler's manoeuvring space continues to shrink. He cannot openly contradict Russia, his political, military ally and economic donor. While Moscow faces increasing international ostracism, Lukashenka has little interest to follow Kremlin down its path to isolation, especially when Belarusian-Western relations are showing first signs of slow improvement. Economic ties with Ukraine play a crucial role for Belarus' overall economic health. Trade with Ukraine provides Belarus with $2bn in annual surplus, mostly derived from oil product exports. Given the huge external trade deficit Belarus has faced in recent years, having such a beneficial trade partner like Ukraine means a lot. The importance of these economic relations was publicly demonstrated on 23 June when Belarus strongly rejected a Russian proposal to introduce protective trade measures against Ukrainian goods. Russia claimed the need to protect the Eurasian Union market from the inflow of cheap imports from the West after Ukraine signed its free trade agreement with the EU. But Belarus and Kazakhstan insisted it was too early to panic. As a result Russia had to start a trade war against Ukraine unilaterally with no backing from its Eurasian Union allies. Recently, the Belarusian authorities announced a number of their own protectionist measures, some of which (such as the licencing of beer, cement and glass imports, and barriers for confectionery goods) hurt the Ukrainian economy. Kyiv replied strongly – it imposed high duties on Belarusian-imported dairy products, confectionery goods, beer, fertilisers, refrigerators and tires. In a few days time the Belarusian government conceded and issued a new regulation that exempted Ukraine and other Commonwealth of Independent States (CIS) states from originally introduced anti-import measures. Such a prompt climbdown, very atypical for Minsk, became the latest indication of how much Belarus values good relations with Ukraine. That is why Lukashenka speaks honestly when he promises to do everything he can to achieve a lasting truce between Russia and Ukraine. They say big money loves silence. So does Belarus' fragile economy and entangled relations with neighbours. After the negotiations in Minsk, the Russian ambassador to Belarus Alexander Surikau said that future rounds of these talks might also take place in Belarus. In fact, there are very few other benefits Belarus can expect to receive from its status as a neutral party. Lukashenka can neither contribute much to the conflict's resolution, nor hope for notable improvements in his relations with the West as a result of his good offices. As for a possible truce between Kyiv and Russian-backed separatists, only united international efforts, together with the political will of the Russian and Ukrainian leadership will be able end the war. Given the Ukrainian military's success over the past weeks, Kyiv will unlikely agree to curb its relatively successful anti-terrorist operation. Talking about humanitarian and other secondary (in terms of military situation) issues in Minsk has little effect on the armed conflict itself. Some say that Belarus could do more and serve as a mediator, but Alexander Lukashenka himself has publicly refused ever to become one, saying he "hates mediation". Many Belarusian political analysts during the first hours following the Minsk talks' announcement concluded that the West would want to reward Minsk for facilitating the negotiations and improve its attitude to Belarusian authorities. However, this all seems a little too optimistic. British Ambassador to Belarus Bruce Bucknell disagreed with such a forecast in his latest interview with the BelaPAN news agency: "If we act hastily trying to speed up improving our relations… Russia may not like it. And we don’t want to destabilise the situation in Belarus and the region in this way". He also said that for Belarus merely providing a neutral venue for talks cannot abolish the existing obstacles (political prisoners, lack of rule of law, death penalty etc.) for improving its relations with the EU. Thus, the contact group talks in Belarus, of course, have drawn the country into the the conflict's resolution, but Minsk's role seems marginal and will most likely remain so. Alexander Lukushenka has a strong desire, but almost no leverage to end the Russian-Ukrainian clash.